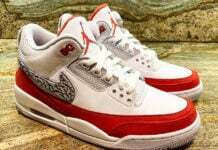 Michael Jordan was at the top of basketball throughout the 90’s and his sneakers single handedly made the shoe game what it is today. However, just like Mike, Jordan Brand has a love for stepping out of its comfort zone and trying something new. Lately, Jordan Brand has been producing sneakers for athletes from various sports. Andruw Jones of the Atlanta Braves is one of Jordan Brand’s two MLB sponsored athletes. 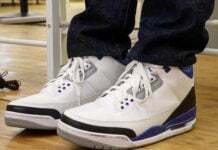 These player exclusives are based on the Air Jordan III model and feature a unreleased colorway for the Air Jordan III’s. 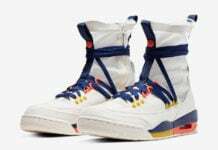 The body of the sneaker is covered in cement print with red accents; furthermore, the crisp white tongue is contrasted by a dark blue midsole. 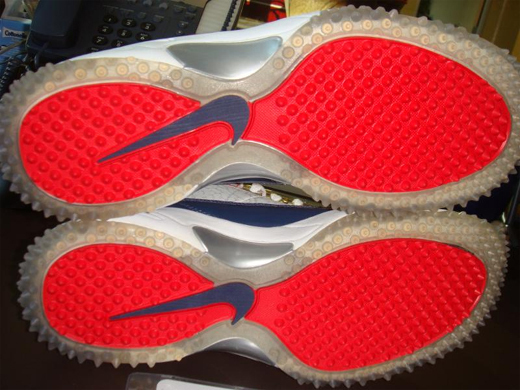 However, what makes this sneaker unique are the rubber spikes on the sole which provide the traction necessary for elite performance the baseball diamond. A glove with a “25” inside of it on the side of the heel is the symbol used by all Andruw Jones PE’s, including this pair. 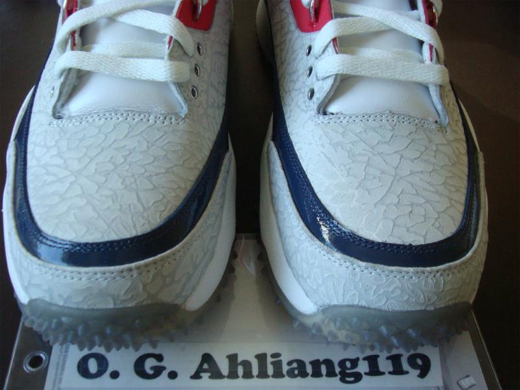 These shoes are not available for retail right now, but they might end up on eBay as many player exclusives do. Via NT. is that a throwback milwaukee brewers logo on there? How did you see them in the hall of legends? He isn't even retired. how would he get in there? Just like you had a pair of the those Air Force 1s that had 5 made and 4 went to employees of the store… And how you had a pair of shoes release on your bday but there wasn't a release date posted. good call! But they sweet! 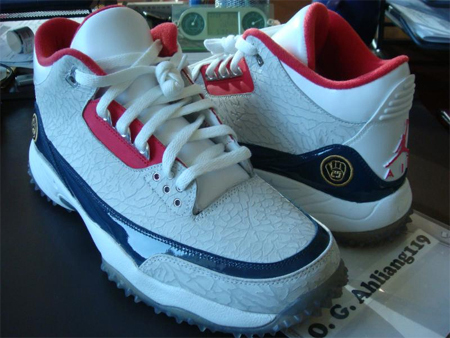 But why do they have a throwback milwaukee brewers logo on them? Good call Ben. Hasn't he played for ATL and LAD all his career? Does anyone know why the symbol on the heel looks like the old school brewers logo? 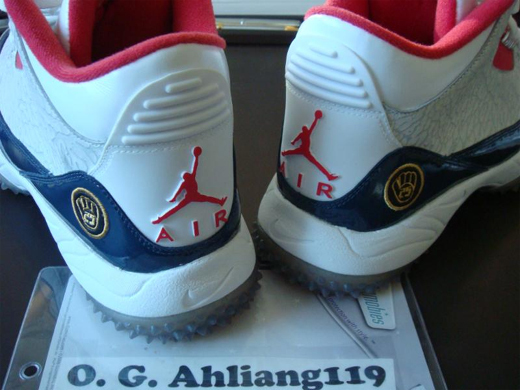 glove with a “25″ inside of it on the side of the heel is the symbol used by all Andruw Jones PE’s, including this pair. 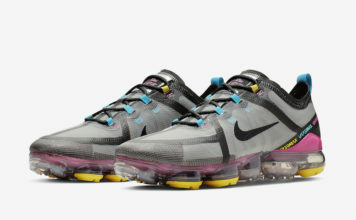 I hope these sneakers release to the public! !